The author selected the Mozilla Foundation to receive a donation as part of the Write for DOnations program. Ansible is an agentless configuration management tool that uses YAML templates to define a list of tasks to be performed on hosts. In Ansible, roles are a collection of variables, tasks, files, templates and modules that are used together to perform a singular, complex function. 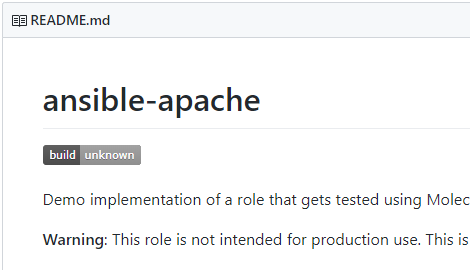 Molecule is a tool for performing automated testing of Ansible roles, specifically designed to support the development of consistently well-written and maintained roles. Molecule’s unit tests allow developers to test roles simultaneously against multiple environments and under different parameters. It’s important that developers continuously run tests against code that often changes; this workflow ensures that roles continue to work as you update code libraries. Running Molecule using a continuous integration tool, like Travis CI, allows for tests to run continuously, ensuring that contributions to your code do not introduce breaking changes. In this tutorial, you will use a pre-made base role that installs and configures an Apache web server and a firewall on Ubuntu and CentOS servers. Then, you will initialize a Molecule scenario in that role to create tests and ensure that the role performs as intended in your target environments. After configuring Molecule, you will use Travis CI to continuously test your newly created role. Every time a change is made to your code, Travis CI will run molecule test to make sure that the role still performs correctly. You will be using a pre-made role called ansible-apache that installs Apache and configures a firewall on Debian- and Red Hat-based distributions. You will fork and use this role as a base and then build Molecule tests on top of it. Forking allows you to create a copy of a repository so you can make changes to it without tampering with the original project. Start by creating a fork of the ansible-apache role. Go to the ansible-apache repository and click on the Fork button. Once you have forked the repository, GitHub will lead you to your fork’s page. This will be a copy of the base repository, but on your own account. Click on the green Clone or Download button and you’ll see a box with Clone with HTTPS. You will replace username with your GitHub username. With your fork set up, you will clone it on your server and begin preparing your role in the next section. Having followed Step 1 of the prerequisite How To Test Ansible Roles with Molecule on Ubuntu 18.04, you will have Molecule and Ansible installed in a virtual environment. 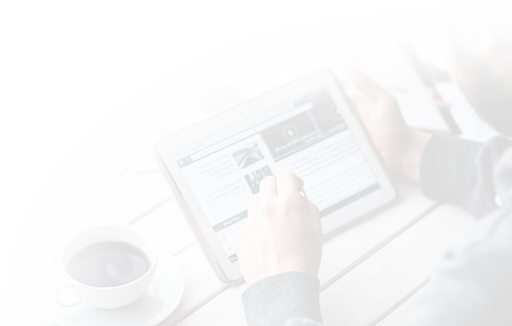 You will use this virtual environment for developing your new role. Includes variables: The role starts by including all the required variables according to the distribution of the host. Ansible uses variables to handle the disparities between different systems. Since you are using Ubuntu 18.04 and CentOS 7 as hosts, the role will recognize that the OS families are Debian and Red Hat respectively and include variables from vars/Debian.yml and vars/RedHat.yml. Includes distribution-relevant tasks: These tasks include tasks/install-Debian.yml and tasks/install-RedHat.yml. Depending on the specified distribution, it installs the relevant packages. For Ubuntu, these packages are apache2 and ufw. For CentOS, these packages are httpd and firewalld. Ensures latest index.html is present: This task copies over a template templates/index.html.j2 that Apache will use as the web server's home page. Starts relevant services and enables them on boot: Starts and enables the required services installed as part of the first task. For CentOS, these services are httpd and firewalld, and for Ubuntu, they are apache2 and ufw. Configures firewall to allow traffic: This includes either tasks/configure-Debian-firewall.yml or tasks/configure-RedHat-firewall.yml. Ansible configures either Firewalld or UFW as the firewall and whitelists the http service. Now that you have an understanding of how this role works, you will configure Molecule to test it. You will write test cases for these tasks that cover the changes they make. To check that your base role performs its tasks as intended, you will start a Molecule scenario, specify your target environments, and create three custom test files. Initialized scenario in /home/sammy/ansible-apache/molecule/default successfully. centos7 is the first platform and uses the milcom/centos7-systemd image. ubuntu18 is the second platform and uses the solita/ubuntu-systemd image. In addition to using privileged mode and mounting the required kernel modules, you're running /sbin/init on launch to make sure iptables is up and running. For more information on running privileged containers visit the official Molecule documentation. You can now move on to creating the three custom test files, test_common.py, test_Debian.py, and test_RedHat.py for each of your target platforms. In your test_common.py file, you have imported the required libraries. You have also written a test called test_files(), which holds the only common task between distributions that your role performs: copying your template as the web servers homepage. The next test file, test_Debian.py, holds tests specific to Debian distributions. This test file will specifically target your Ubuntu platform. Then, in the same file, you'll add test_pkg() test. This test will check if apache2 and ufw packages are installed on the host. Note: When adding multiple tests to a Molecule test file, make sure there are two blank lines between each test or you'll get a syntax error from Molecule. test_svc() will check if the apache2 and ufw services are running and enabled. Finally you will add your last test, test_ufw_rules(), to the test_Debian.py file. test_ufw_rules() will check that your firewall configuration permits traffic on the port used by the Apache service. The test_Debian.py file now includes the three tests: test_pkg(), test_svc(), and test_ufw_rules(). Next you'll create the test_RedHat.py test file, which will contain tests specific to Red Hat distributions to target your CentOS platform. Then, add the test_pkg() test, which will check if the httpd and firewalld packages are installed on the host. Now, you can add the test_svc() test to ensure that httpd and firewalld services are running and enabled. The final test in test_RedHat.py file will be test_firewalld(), which will check if Firewalld has the http service whitelisted. Now that you've completed writing tests in all three files, test_common.py, test_Debian.py, and test_RedHat.py, your role is ready for testing. In the next step, you will use Molecule to run these tests against your newly configured role. You'll see Verifier completed successfully in your output; this means that the verifier executed all of your tests and returned them successfully. Now that you've successfully completed the development of your role, you can commit your changes to Git and set up Travis CI for continuous testing. In this tutorial, so far, you have cloned a role called ansible-apache and added tests to it to make sure it works against Ubuntu and CentOS hosts. To share your updated role with the public, you must commit these changes and push them to your fork. This command will add all the files that you have modified in the current directory to the staging area. git config user.name "John Doe"
git commit -m "Configured Molecule"
Writing objects: 100% (13/13), 2.32 KiB | 2.32 MiB/s, done. remote: Resolving deltas: 100% (3/3), completed with 2 local objects. If you go to your fork's repository at github.com/username/ansible-apache, you'll see a new commit called Configured Molecule reflecting the changes you made in the files. Now, you can integrate Travis CI with your new repository so that any changes made to your role will automatically trigger Molecule tests. This will ensure that your role always works with Ubuntu and CentOS hosts. In this step, you're going to integrate Travis CI into your workflow. Once enabled, any changes you push to your fork will trigger a Travis CI build. The purpose of this is to ensure Travis CI always runs molecule test whenever contributors make changes. If any breaking changes are made, Travis will declare the build status as such. Proceed to Travis CI to enable your repository. Navigate to your profile page where you can click the Activate button for GitHub. You can find further guidance here on activating repositories in Travis CI. language: When you specify Python as the language, the CI environment uses separate virtualenv instances for each Python version you specify under the python key. python: Here, you're specifying that Travis will use both Python 2.7 and Python 3.6 to run your tests. services: You need Docker to run tests in Molecule. You're specifying that Travis should ensure Docker is present in your CI environment. install: Here, you're specifying preliminary installation steps that Travis CI will carry out in your virtualenv. pip install molecule docker to check that Ansible and Molecule are present along with the Python library for the Docker remote API. molecule --version prints the Molecule version if Molecule has been successfully installed. ansible --version prints the Ansible version if Ansible has been successfully installed. molecule test finally runs your Molecule tests. The reason you specify molecule --version and ansible --version is to catch errors in case the build fails as a result of ansible or molecule misconfiguration due to versioning. Once you've added the content to the Travis CI configuration file, save and exit .travis.yml. Now, every time you push any changes to your repository, Travis CI will automatically run a build based on the above configuration file. If any of the commands in the script block fail, Travis CI will report the build status as such. Replace username with your GitHub username. Commit and push the changes to your repository as you did earlier. git commit -m "Configured Travis"
If you navigate over to your GitHub repository, you will see that it initially reports build: unknown. 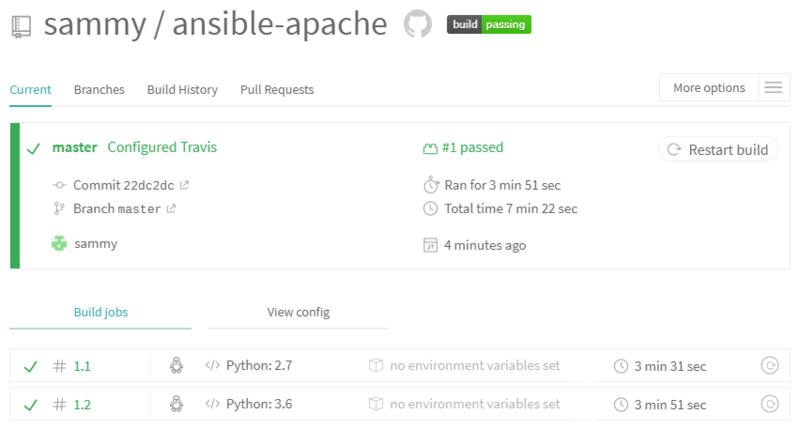 Now that you've successfully set up Travis CI for your new role, you can continuously test and integrate changes to your Ansible roles. In this tutorial, you forked a role that installs and configures an Apache web server from GitHub and added integrations for Molecule by writing tests and configuring these tests to work on Docker containers running Ubuntu and CentOS. By pushing your newly created role to GitHub, you have allowed other users to access your role. When there are changes to your role by contributors, Travis CI will automatically run Molecule to test your role. Once you're comfortable with the creation of roles and testing them with Molecule, you can integrate this with Ansible Galaxy so that roles are automatically pushed once the build is successful.